So you get your allotment and charge off full steam ahead with ambitious plans for what you’ll grow, but your plot is in a bad state and needs a lot of clearing – bindweed, couch grass, you name it. Or it’s in fair/good condition and you attempt to fill it with all sorts of fruit and veg in huge quantities. Hold on a minute! 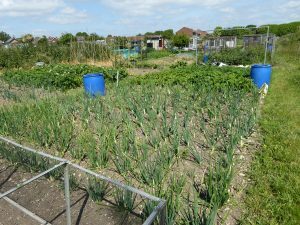 This article is not intended to be an exhaustive (or even exhausting) list of how to set up and run an allotment, more of an outline of a few things I’ve learnt along the way with my own allotment or observations of other peoples’ plots. It’s fundamental to your long-term success to be realistic about how much you can achieve. Be aware of the how much time you will be able put into your plot in addition to commitments of work, family, volunteering, and other activities. Remember that it’s not all about pottering around in summer but taking care of essential maintenance in winter too. Share a plot with friends if you feel it’s a lot to take on – this also helps if there are waiting lists in your area. How you will deal with gluts of produce or diseases such as blight. If your plot needs a lot of clearing I recommend doing one section thoroughly in the first year. This means that you can plant crops and have something to show for it, and you’ll be saving some of the hard work for next season. It’s one answer to being realistic, see above! So many people do a lot of back-breaking work in the first year, plant very little or nothing, then give up even though they’ve now done the hard work. Your soil will improve, and the crops grow better if you are able to add some manure or composted material to it. Many stables are glad to give manure away, but it needs to be well rotted to work properly. Your local authority may sell compost they’ve made from garden and household waste collections. You can also start to compost your own waste once you have some crops to pick. What to grow? It seems obvious, but grow what you like to eat – it’s surprising how many people don’t do this! There’s no point in putting your loving care into something you or your family won’t actually eat; this also means being realistic about how much of each crop to grow. Most seed will keep for at least a couple of years so don’t sow the whole packet. Bear in mind that some plants such as rhubarb and asparagus can’t be picked for at least a year, so it’s a long-term commitment. If you only need a few, buy some plants from a farmers market or garden centre, or do swaps with friends. Look out for plants being given away on Freecycle or indeed put in a request – I recently got three lovely cucumber plants by doing so. Potatoes are good for opening up the soil and bringing up the soil’s nutrients from the deep, and there’s nothing like the taste of freshly dug potatoes, but just grow a small number if that’s what you’ll eat. Think about whether you need to grow vegetables that are cheap and easy to buy, such as parsnips. Consider growing shallots or red onions rather than yellow onions as the first two are much more expensive in the shops. If you’re a total beginner, look up which seeds germinate more easily than others, to avoid disappointment. And finally, some tips about rules and etiquette at your site. You may be prohibited from growing fruit trees, having bonfires, using carpet to keep down weeds, and more besides – check the rules and observe them at least for a while – even if others break them, being a newcomer may mean that you get targeted first! If you’re lucky the council may mow the paths between plots but most don’t and remember it makes life easier for you and your neighbours if you keep your paths accessible. 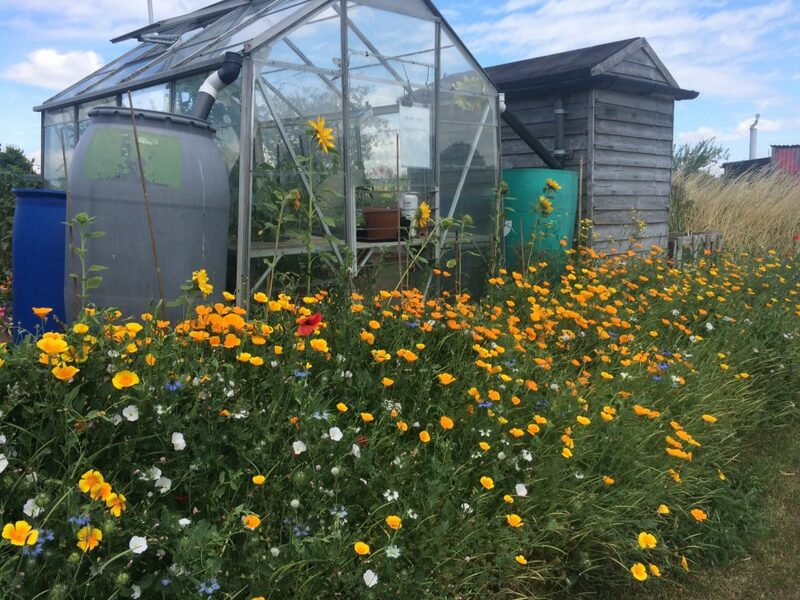 If you have an allotment association do join it – it may give you access to cheaper bulk orders of seeds, and to advise and social events. Listen to the advice of the old-timers but also take it with a pinch of salt as the old ways aren’t always the best! Find out from them which pests such as carrot rootfly are prevalent. Above all, enjoy yourself and happy harvesting! Comments and other tips welcome!